The iPad can access all apps on the App Store and some apps have special versions specifically for iPad, too! There are apps that are best used for a specific gadget. For instance, apps that monitor your health or progress with your exercise or workout must only be used with your iPhone since the iPad is too big to carry around the gym. Inversely, Netflix is also most suitable for a wider screen like the iPad and would be less interesting to watch on the smaller iPhone display. This also applies to Christian and Bible apps, albeit trivial. But there is a good explanation as to why you need to use these apps with an iPad, instead of the iPhone. All but one of these Apps have iPad versions. This old school Bible can easily be read on your iPhone, but the Bible.is app is not old school nor is it average. 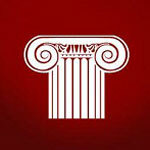 Theis app features the Bible in 1,800+ different languages of the world with both the Old and New Testament. also features dramatized audio version that also comes in hundreds of languages that you can listen to at home, church, or on the go. 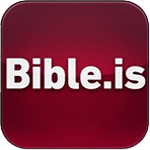 It also various Jesus films making Bible.is easily one of our favorite Christian/Bible apps on the App Store. Once you’ve successfully downloaded and installed this app on your iPad, then you can listen to this app offline, because this is an audio Bible app that doesn’t require internet connection. It will receive updates when you reconnect to a WiFi. 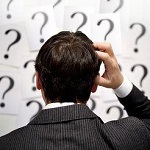 Nearly every soul on Earth ask basic questions about our existence. This app neatly catalogues over 5,600 questions that people often ask about life which have been organized by topic to make it easy for users to search them. It also features thousands of articles that give answers and thought-provoking questions about life that you can bookmark for future access, as well as ask new questions that are not yet in their database. It is one of the best Bible apps that will satisfy your desire to know deep things not often discussed. If you desire to undergo an intense discipleship training, then you’ll need to get the OnePassion Ministries app, which is designed by Dr. Steven J. Lawson.This app will give you access to Dr. Lawson’s 3 decade’s worth of pastoral ministry which are literally hundreds upon hundreds of discipleship resources. Dr. Lawson’s aim for his discipleship ministry is to train men in the form of biblical expository preaching. 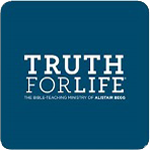 Pastor Alistair Begg is the principal sponsor and author of the Truth For Life app. I, in fact, it contains all of his sermons for you to listen to. Begg has formally stated that their mission is to teach the Bible with clarity and relevance for the collective good of all Christians everywhere. Aside from Begg’s sermons, the app also contains C.H. Spurgeon’s Morning & Evening devotionals and blog posts from TruthForLife.org for daily readings and meditation. 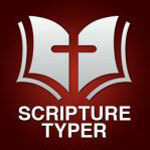 It is considered as one of the best Bible apps around for Christian hardliners. What are your Favorite Bible Apps? If they’re Included in this List, then Don’t Miss the Chance to Download and Install them on your iPad Immediately! 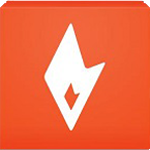 This Christian app is a creation of the conglomerate of evangelical churches throughout North America whose mission is to renew Christians’ faith in Jesus Christ, changing their ministry outlines to be truly in-line with what is in the Scriptures, and to live and share the Gospel that clearly communicates to our modern age. This app is like Reformation 2.0 and is what Christians ought to use if they want to strengthen their faith, or are unsure of what creed or denomination to follow. The Gospel Coalition app features daily updates from top Christian preachers such as Justin Taylor, Tim Keller, Kevin DeYoung, Don Carson, and many other well-known Christian church leaders. 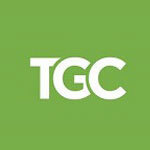 There are also lots of videos of The Gospel Coalition’s national conferences, featuring speakers such as Mark Driscoll, John Piper, Alistair Begg, Al Mohler, Matt Chandler, and many other evangelical preachers. 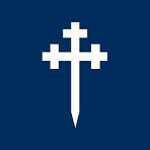 The Covenant Seminary is an app that’s full of seminary resources which are actually courses for anyone who wants to study deep theological teachings. You will find plenty of courses about the Old Testament, New Testament, Systematic Theology, Church History, and other Christian- teachings. It’s interesting to note that the creators of Covenant Seminary are also the same people who contributed to the popular English Standard Version (ESV) Study Bible. Have you ever been in a debate on whatever topic it may be about the Bible? Did you feel that you lacked the required information or reasoning skills, so you lost the debate? If so, then you’ll need the Stand To Reason app! 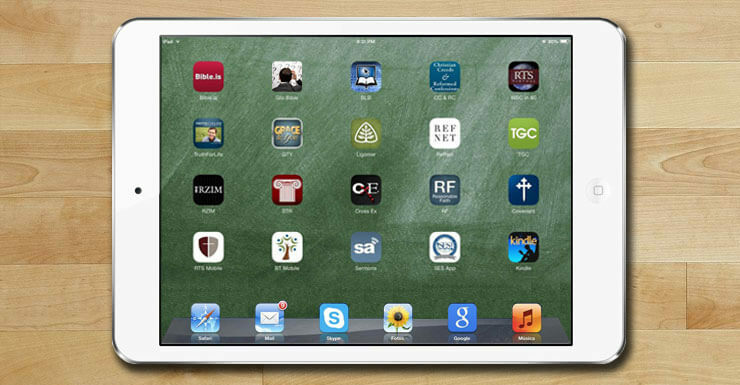 This app will teach you how to explain and defend the Christian faith with logic and reason. Stand To Reason is based on Greg Koukl’s weekly call-in radio show. If you know Koukl well, then you know that he also authored the book Tactics, which talks about how to explain and defend your faith with logic and reason. Now you’ll have the confidence to talk about your Christian faith and not be afraid of debate mongers. Of all the Bible apps around it is almost certain that at least 1 in every 5 Christians have been looking for an app like this all their lives – and now it’s here. An integrated tool that lets you create church presentations quickly and excellently, the Proclaim app has been primarily designed for church use. Unlike traditional church presentations which largely depend on what the worship leader puts on the outline, Proclaim is more pastor and sermon-centric.It incorporates various tools like CCLI SongSelect, Planning Center, GracewayMedia, and Logos Bible Software in order to make the best presentations ever! There’s also an image slider that you can flash on a widescreen LED TV or a projector during the church service, so you can neatly arrange how the church presentation will flow from beginning to end. 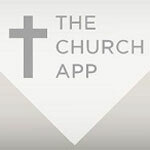 The Church App is technically not an app, but rather a platform for churches and organizations to create a new and unique app for their church ministry. Among the churches and organizations that have already used this platform to create their unique app, you’ll find R. C. Sproul’s Ligonier Ministries, Matt Chandler’s The Village Church,the Billy Graham Evangelical Association,The Gospel Coalition and John MacArthur’s Grace to You Ministries. This amazing platform allows you to present full-length sermon audio, video, articles, images, blogs, and more. Also,users can share your content in social media sites to help your ministry reach a wider audience. It is also considered as a good Christian podcast app among other things. In the past, Christians would learn to memorize verses by reading the Bible followed by reciting each verse many times through repetition. This is often done as a challenge in Sunday School or Vacation Bible School, and sometimes at Christian Youth Rallies. Today, the challenge has become a bit more complicated and high tech, as the quiz comes in the form of a Bible app like Scripture Typer. It will ask you to type the entire Bible verse from memory. Players are loving it as indicated by the very positive reviews this app has receive on the App Store. 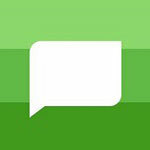 Interested in this app? Click on the icon below and give it a try!